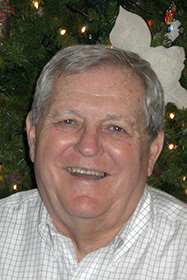 Cale Swansen, 81, of Fort Dodge passed away peacefully on June 20, 2018 in Fort Dodge. Cale was born Feb­ruary 12, 1937 in Jefferson County, Iowa to Kenneth and Ruth (Rink) Swansen. Cale graduated from Paton High School, Class of 1955; he then went onto graduate from Westmar College. Cale was an avid sports fan. He loved cheering on his Boston Red Socks and watching college sports. He loved spending time with family and friends. He especially loved watching his grandsons play golf and baseball. Cale enjoyed fishing, hunting and daily coffee with his friends. Cale played baseball for many years but coaching was his passion. Cale coached softball and basketball and was extremely proud of coaching the 1964 Central Webster Women’s Softball team to the state championship. Surviving to honor his memory are: his wife, Ellen Swansen; his daughter Joni (Martin) Bruder of Minneapolis, MN and their son Josh; his son Scott (Sara) Swansen of Johnston and their sons Jacob and Gabe; his step-children, Dawn Coble and her daughter Ellyssa; Stacy (Dean) Miles and her son Jared; two great-grandchildren Madison and Grayson Skinner. Cale was proceeded in death by his parents, Kenneth and Ruth Swansen. A memorial fund has been established in honor of Cale at: Johnston Dragons Baseball Club, 9109 N.W. 71st Ave, Johnston, IA 50131. The memorial fund will be used for a golf cart to transport those who need extra assistance to be able to enjoy the game he loved so much. The family is planning a private memorial service at a future date.